Modern technology has certainly aided communication, but these devices have also made roads more dangerous. Victims of texting and driving accidents should not be financially responsible for fixing the damage to their personal property and person. An experienced Chicago car accident lawyer can help you fight to recover expenses and damages. CALL KURASCH & KLEIN AT 312-372-7250 TO PURSUE JUSTICE. WE DO NOT CHARGE UNTIL YOU GET THE COMPENSATION YOU DESERVE. The time after your collision is crucial to your case. The amount of detail that we are provided with will help when assessing your case. According to the National Center for Injury Prevention and Control, more than two-thirds of U.S. adult drivers reported they had talked on their cell phone while driving at least once in the past 30 days. Distracted drivers pose a huge risk to the drivers that they share the road with. Most of the time, these potentially dangerous situations did not end badly. For others, being injured in a texting and driving accident became a reality. Victims of texting and driving are not always people in other vehicles. 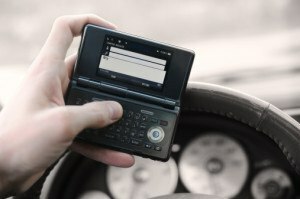 In fact, drivers who use hand-held devices are four times more likely to get into accidents in which they suffer harm. When your injuries are preventing you from working, Kurasch & Klein can help you with your case. After a car accident resulting from texting and driving, you face a number of expenses, such as medical bills and car repairs. At the same time, you may not be receiving income because you are unable to work. You are not alone in your fight for justice. An experienced lawyer can help you get the compensation you deserve to financially recover. Injured victims may be eligible for damages for physical and emotional pain and loss of enjoyment of life resulting from the accident. Most insurance companies will not include these claims in a lump sum settlement, and your insurance company might be offering to settle with you for less than what your damages are worth. A car accident lawyer can help you calculate a fair claim that includes all expenses and damages and fight to receive the full compensation you deserve. The personal injury attorneys at Kurasch & Klein in Chicago have more than three decades of experience handling all types of car accident cases, including texting and driving cases. We understand Illinois laws and how to build an effective case. Moreover, we understand that you are under an immense emotional strain, and we are sensitive to your needs. We will fight on your behalf to relieve you of the stress of legal battles and unfair financial burden. Contact us to seek justice after a texting and driving accident.